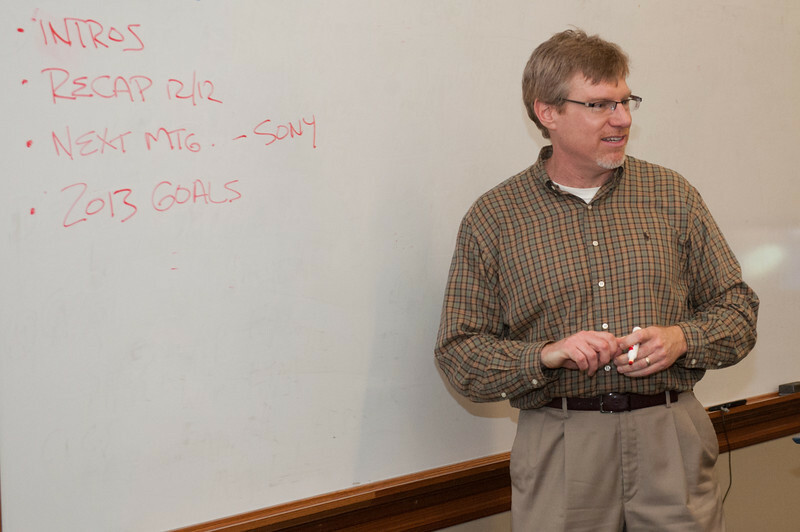 Mike Wood sat intently in a Federal Hall classroom listening to an Indiana State University faculty member discuss supply chain management issues. Yet Wood wasn't a college student listening to a lecture. The director of procurement at Sony DADC in Terre Haute hopes that the university can fill the void created when professional organizations left town. Wood is one of more than 20 organizational and supply chain management professionals who have attended meetings of the Wabash Valley Paradigm Network, a group started by the Scott College of Business at Indiana State in November. The organization consists of working professionals who discuss industry-related topics and issues. "In the past there've been some professional organizations that had local chapters, but all those chapters have dissolved locally...," Wood said. "I think, in the absence of those professional organizations doing something, having the university coordinate this and at least gauge the amount of interest and the support that it might get is a good approach." 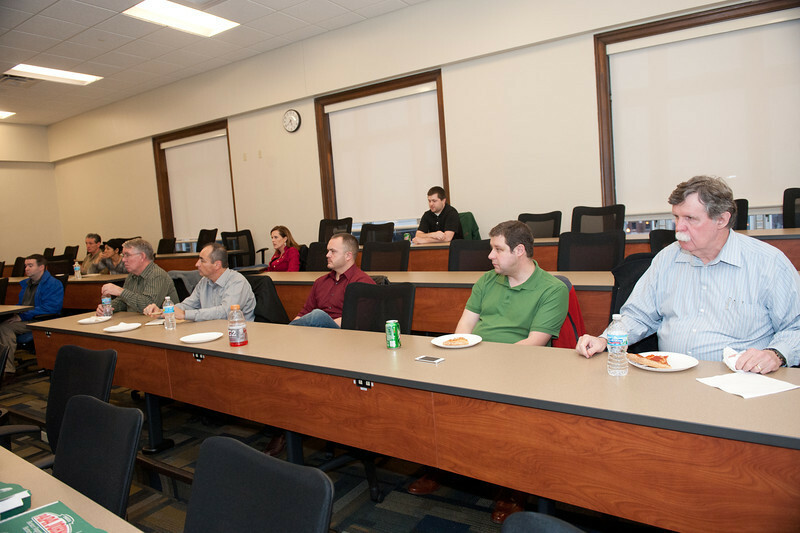 Most professional industry groups' closest local chapters are based in Indianapolis, which can make it difficult for working professionals in Terre Haute to regularly attend meetings, said Ken Jones, senior instructor of operations and supply chain management at Indiana State. He organized the initial meetings of the group, which has since received additional interest and support. "One of the things the founding members agreed on early in the process was to move forward as an informal and organic network, and deliberatively avoid a bureaucratic network of elected positions and titles," Jones said. "It's open to any professional in the operations and supply chain management area who is interested in this kind of network. You can hold any title in your company, from entry-level associate to president. It doesn't matter. We'll still provide the same access to learning, sharing of best practices and general networking. " Several Indiana State students also have participated in the meetings, which have provided them an outlet to learn more about supply chain management. The hope is that business professionals also discuss common issues that they have been experiencing, so they can learn more as well. "We had some discussions on who's hiring, who's using temporary agencies, some of that, so it's a little bit beyond the supply chain, but I don't think it's necessarily found a path yet," Wood said. "I think that will develop over this year, (including) how we'll cover some of the business topics." Wood also hopes that participants can also provide insights to Indiana State, such as case studies "and classroom support to help develop the curriculum so that it provides us with the future candidates that we need," he said. The Scott College hosted the group's initial monthly meetings. The next meetings will shift to different local businesses, which may include facility tours as part of the visit. Several Terre Haute companies have already committed to hosting the next several meetings. "I think that will generate some additional interest and some additional discussion topics," Wood said, "We'll see as we start to open it up to visit at some of the businesses for everybody, if that adds a different flavor to it. I think it will. "The organization is open to the public, and there are no fees associated with becoming a member. Anybody who is interested can participate in the meetings. "It's good to see that the Wabash Valley Paradigm Network is gaining more support from business professionals in the region," said Brien Smith, dean of the Scott College of Business. "This new collaboration fits a need that is beneficial both to our students and businesses in the Wabash Valley." Photo: http://isuphoto.smugmug.com/Other/ISUphotoservices/Wabash-Valley-Paradigm-Network/i-Q72dksp/0/L/Wabash_Valley_Paradigm_Network-6235-L.jpg (ISU/Rachel Keyes)Ken Jones, senior lecturer of operations and supply chain management at Indiana State University, talks during a Wabash Valley Paradigm Network meeting at Federal Hall. The network is a new group of operations and supply chain management professionals who gather to discuss common issues and trends in the industry. The group is free to join and open to the public. Photo: http://isuphoto.smugmug.com/Other/ISUphotoservices/Wabash-Valley-Paradigm-Network/i-LzBnTjJ/0/L/Wabash_Valley_Paradigm_Network-6239-L.jpg (ISU/Rachel Keyes)Members of the Wabash Valley Paradigm Network during a meeting at Federal Hall.